If you are an e-Commerce store or run a business that’s primarily online, then there is a WordPress theme that’s perfect for it. It’s called the Moto Theme. 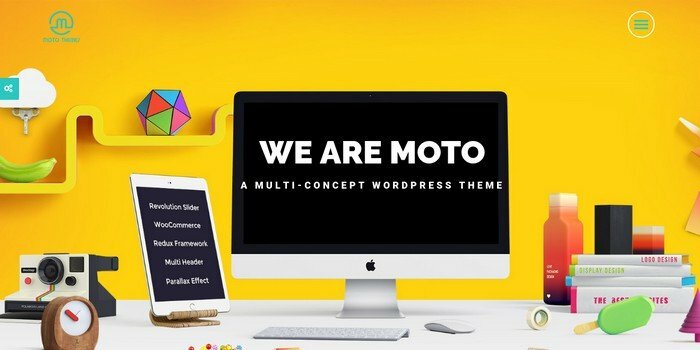 Touted to be the best marketing theme for WordPress, Moto offers a lot of features that are rarely found in other themes, at least under one roof. Moto is a beautiful theme from Himanshu Softtech which packs in a punch while dishing out some seriously cool functionalities. Let’s go deeper and explore this comprehensive theme. 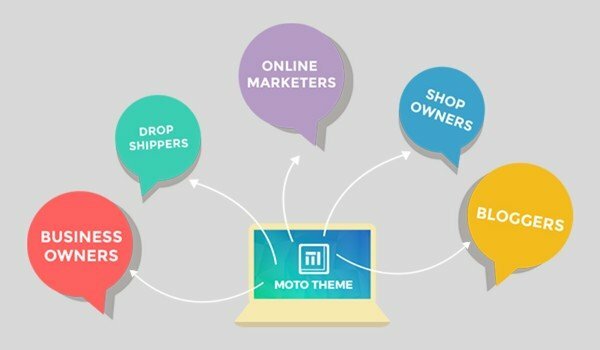 Let’s take a look at the features of the Moto theme, and how it can be used to create the perfect marketing website. Moto is one of those WordPress themes to offer a one-click install. You can create your website in minutes. The theme takes 60 seconds to install, set up, and go live! If you are not familiar with WordPress or theme set up, then Moto is the way to go. Moto Theme Version 2, which is the latest version of the theme, offers many customization options for various website features. For instance, you can choose from 1165 page options, 55 free demo sliders, 50 marketing layouts, and 82 shortcodes; and that’s just the beginning! Moto also offers many premium options such as the drag-and-drop page builder (integration with Origin Builder), seamless instant action technology and a lot more. With such infinite design options, this theme requires zero coding skills to get going! Moto is a great WordPress theme for marketing because it lets you create an immense variety of marketing pages for various businesses, industries, and clients. You can make some beautiful landing pages, sales pages, portfolios, blogs, e-Commerce websites, opt-in pages, affiliate pages, business pages, web agencies, travel agencies, and more. Moto offers 50 design templates that are ready to use, for almost any kind of business you can imagine! If you are a web design and development agency, Moto theme’s Developer Version allows you to set up unlimited websites for your client. Besides all the other awesome customization options, Moto theme also offers a custom header. With 20 navigation header options to choose from, you can create sticky headers, upload logos, use a mega-menu, and a lot more options. Moto offers some advanced options like an advanced opt-in form in 10 different styles and an advanced portfolio. You can choose from 4 layouts and 8 hover effects for the portfolio. You can customize your website widget by adding a contact form and company info, social icons, single image, twitter feed, Flickr profile, and a lot more. This theme gives you scope to generate more social interaction on your website using the widget. If you want to create an e-Store, then Moto is a good WordPress theme to consider. For one, it lets you create an online store to start selling products; and it offers 5 extra layouts for it as well! You can also create a simple e-Commerce store on WooCommerce. This theme integrates with WooCommerce to create beautiful online stores. The best part about Moto is that it is highly customizable and very easy to customize as well. Add to that the complete responsiveness and retina readiness and that makes for a stunning business website that’s accessible on all devices. It sports a clean, contemporary design with a lot of options in layouts, fonts, and colors to create a unique website each time. And Moto also comes built with SEO optimization to help you get started with website ranking. At least at the beginning before the real digital marketing and SEO efforts begin. 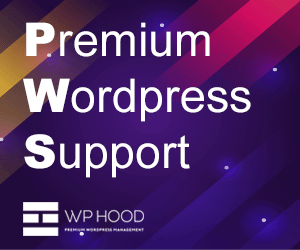 This WordPress theme is also WPML and RTL friendly. Moto theme is easy to use, but also offers good support before and after set up. To begin with, it offers a detailed and comprehensive HD video tutorial for setting up the theme and then using all its internal features. You can start creating pages within minutes. Also, the quick and instant support ensures that your queries are attended to within 60 minutes. The Moto theme team comprises of 40+ in-house WP expert developers, who are ready to help create powerful marketing pages and collateral. Taking all these features into consideration, it is no surprise that Moto is the best theme for marketing. It lets you create stunning marketing pages, websites, and e-Stores for you as well your clients. Moto Theme is very customizable, easy to use, offers dedicated support, and immense styling options. 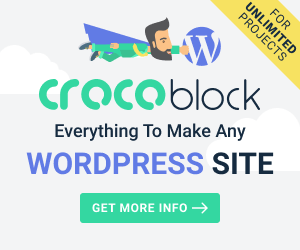 Truly a one-for-all WordPress theme!